Hello and Happy Halloween! 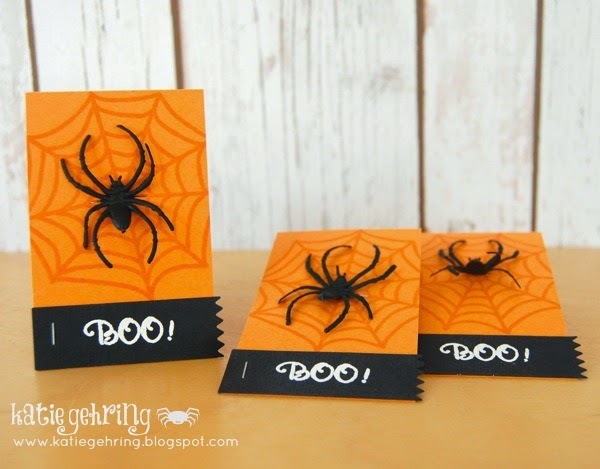 I don't have any Halloween projects to share today, but I do have two fabulous cards created by the talented Katie Gehring and Karolyn Loncon. 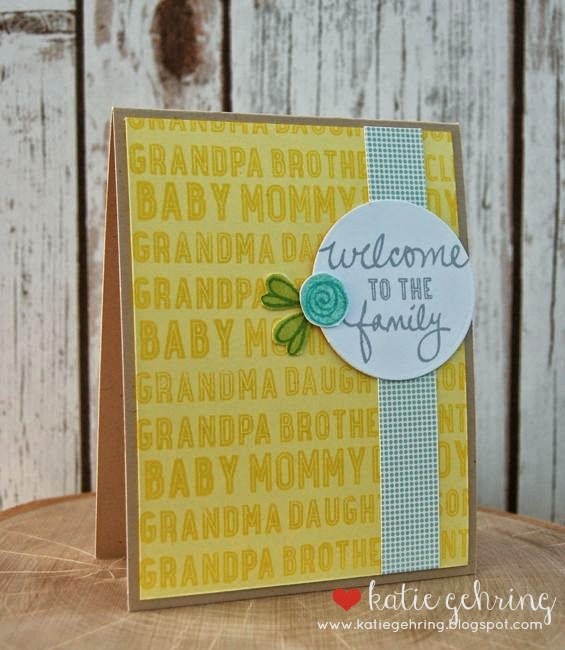 Katie used our We R Family and We R Family Additions stamp sets to create this cute new arrival card! The sentiments look great against our our Kraft, Daisy and Ultra Smooth Pure White card stock and patterned paper from our Everyday Collection paper pad. 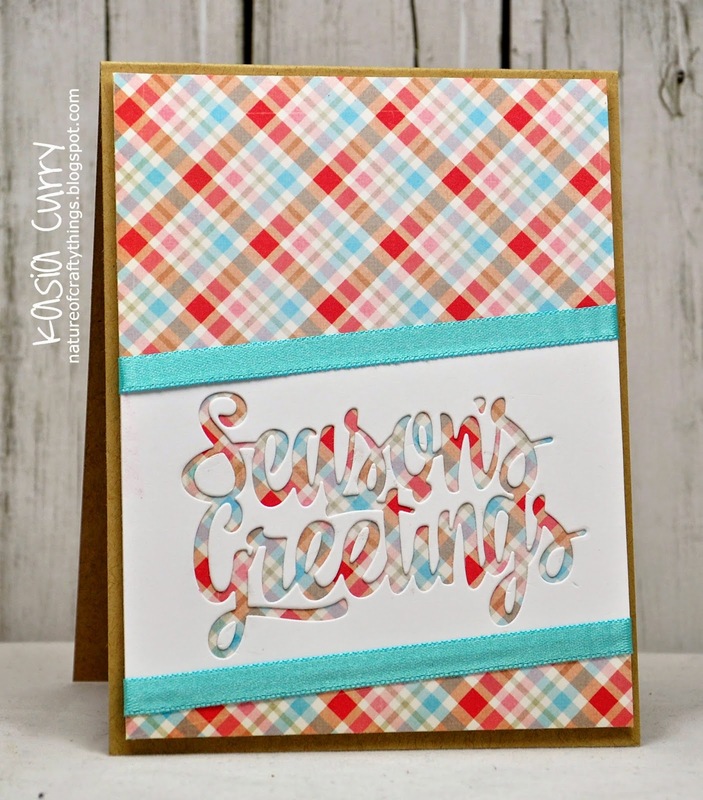 Katie shows how versatile these stamp sets are. You can use them for scrapbooking, Project Life albums, card making and more! Karolyn created an adorable holiday scene on this card using the hat image from our North Pole Stamp Set and sentiment from our Joy To The World Stamp Set. I LOVE the combination! The red really pops against the white and is so striking! What a brilliant and creative card! Hello! Today I have this amazing project by Heather Campbell to share with you. 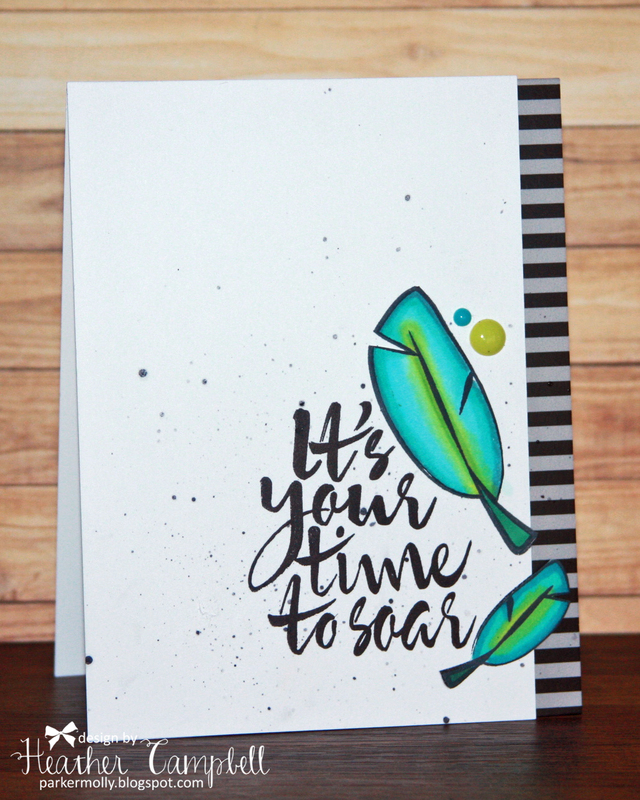 She used our Look Up stamp set to create this encouraging card. I absolutely love the way she shaded the feathers in blue and green. They are just beautiful!! 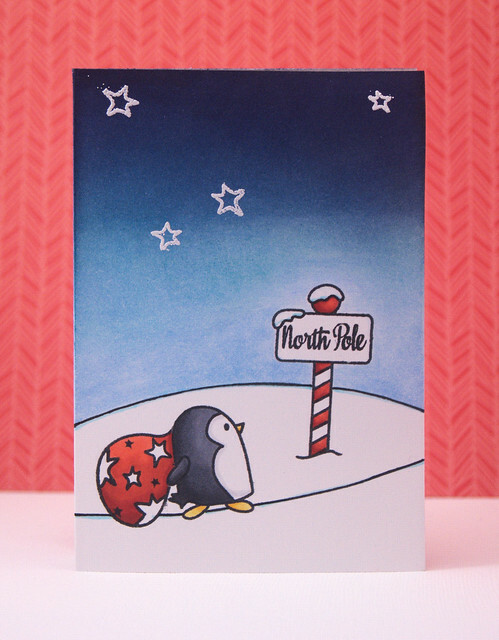 JJ Bolton created this fun card using our North Pole stamp set. I love the way Santa is going down the chimney. JJ gave it some texture using an oldie but goodie stamp set of ours, Link It Up. What a clever idea! Hello and Happy Wednesday! I hope that your week is going well so far. 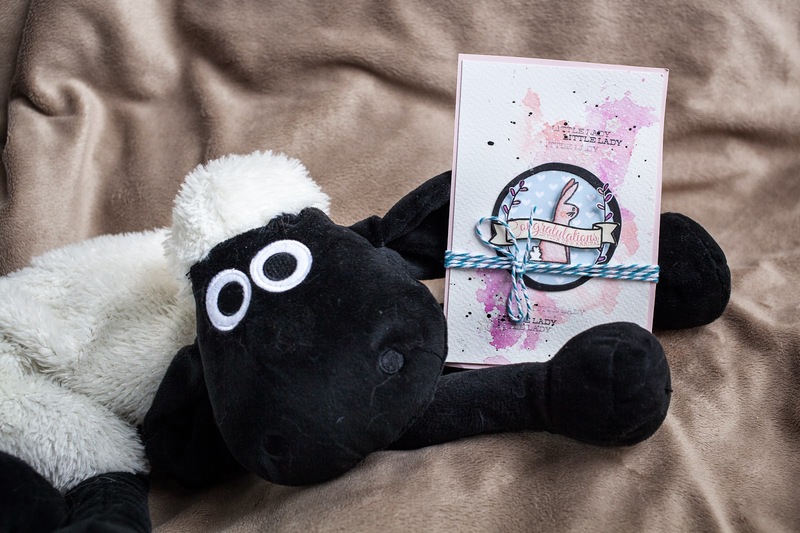 Today I have this adorable card by Maska to share with you. She used our More Stories, Oh Baby and Build A Banner stamps and dies to create it. I love how the cute bunny is highlighted by our Sorbet paper inside the dark circle frame. This is such a cute baby card and is sure to brighten a new mother's day! Today I have two great cards by Kasia Curry and Chunyuan Wu to share with you. 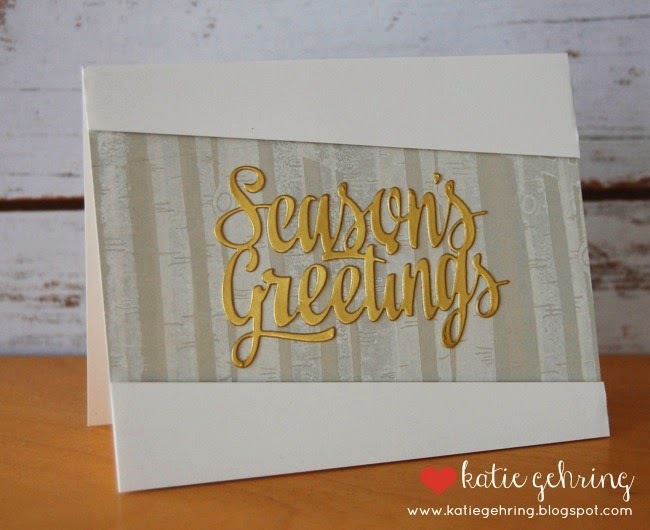 Kasia used the negative image from our Season's Greetings Die to create this first card. I love how the plaid shows through. 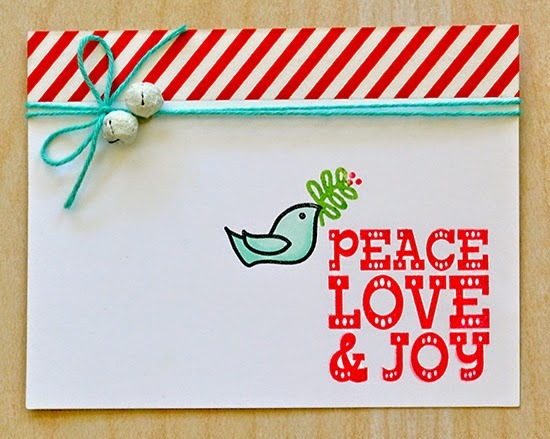 This flat card would be so easy to mass produce and mail at the holidays. 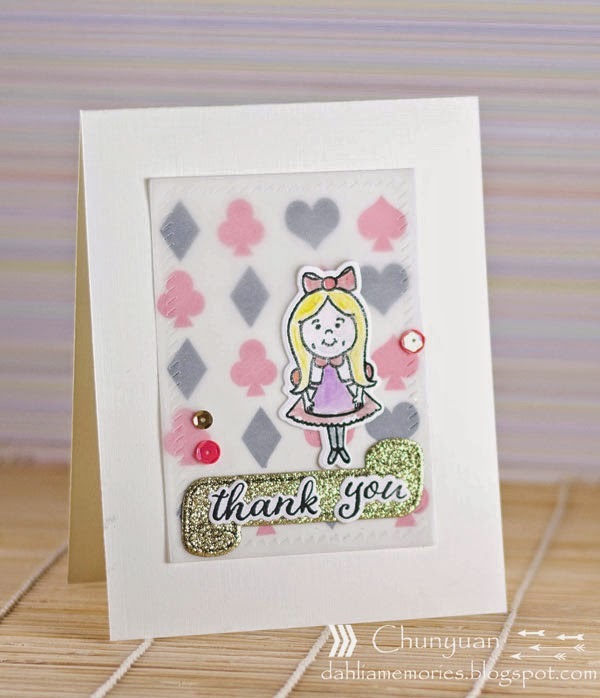 Chunyuan used our Alice & Friends stamps and dies to create this next card. I love how she stamped the diamonds, hearts, clubs and spades in the center of the card and placed a piece of vellum over them. It creates a nice and subtle effect. This card is just so cute and fun. Happy Monday! I hope that everyone had a fabulous weekend! Today I have two very festive cards to share with you. 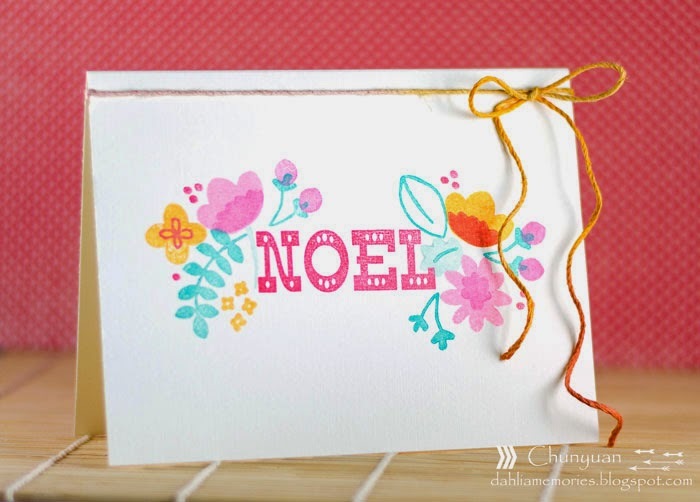 Yainea created this first card using our Noel stamps & dies. The die cut snowflakes look fantastic on the white background and I love the way the sentiment looks stamped over the large snowflake! Aren't all of these pretty colors and layers gorgeous? 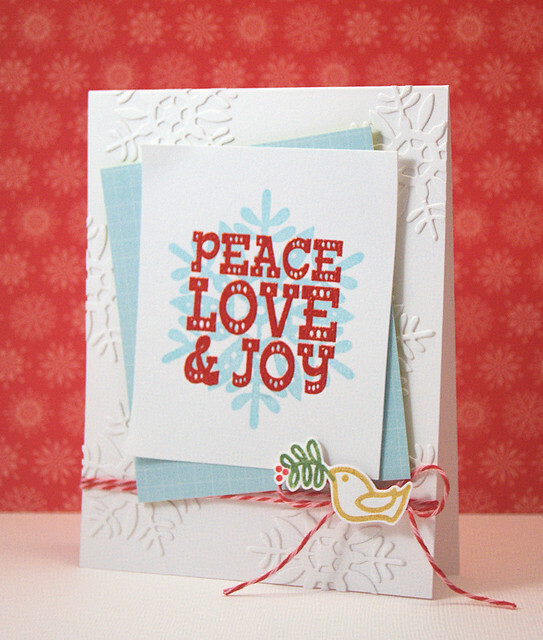 Caryn Davies used our Finished Frames die and Joy To The World stamp set to create this next card. 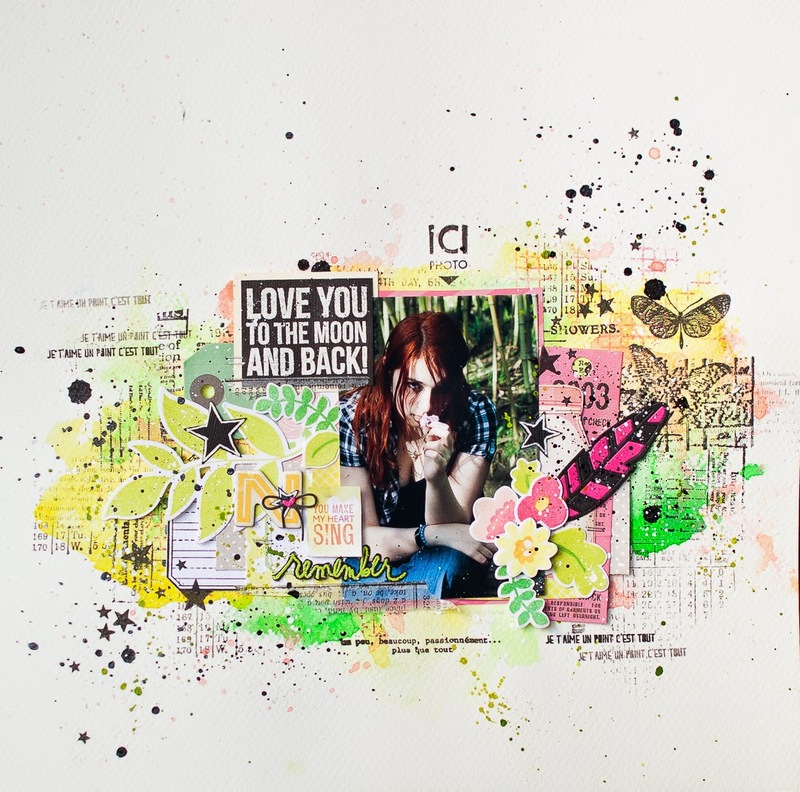 I love the way she stamped and embossed the sentiment over the watercolor background. It is so simple yet stunning! This would be a great card to mass produce for the holidays! Hello and Happy Friday! Today I have some cute projects to share with you. I also wanted to let you know that I will be at Stamp Fever in Orange, CA on Saturday, November 1st from 10:30am - 1:30pm. We will be making this cute holiday card using our Noel stamp set and I would love it if you stopped by to visit, craft & chat. Katie Gehring used our Boo stamp set, Fizz and New Moon cardstock and our Pinked Elle-ments die to create these Spider Ring cards. She cut a slit in the Fizz cardstock and slipped in a spider ring onto it. Aren't these the perfect non-candy treat for school? What an inexpensive and terrific idea! 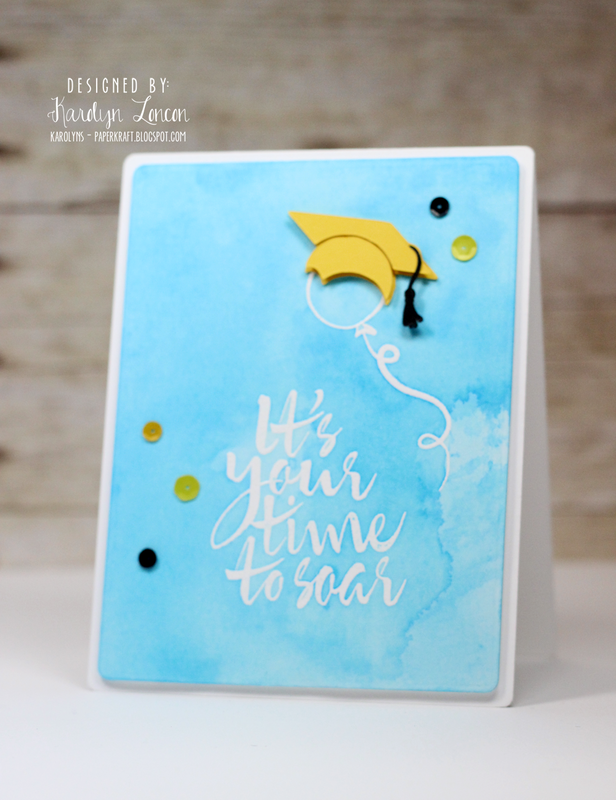 Karolyn Loncon created this creative graduation card using our Look Up stamp set. I love the way the graduation cap looks on the balloon. We don't have a die for the graduation cap but you could cut one out of cardstock and add a bit of twine for the tassel. It is so cute! Hello! Today Heather Campbell & JJ Bolton have two fabulous cards to share with us. 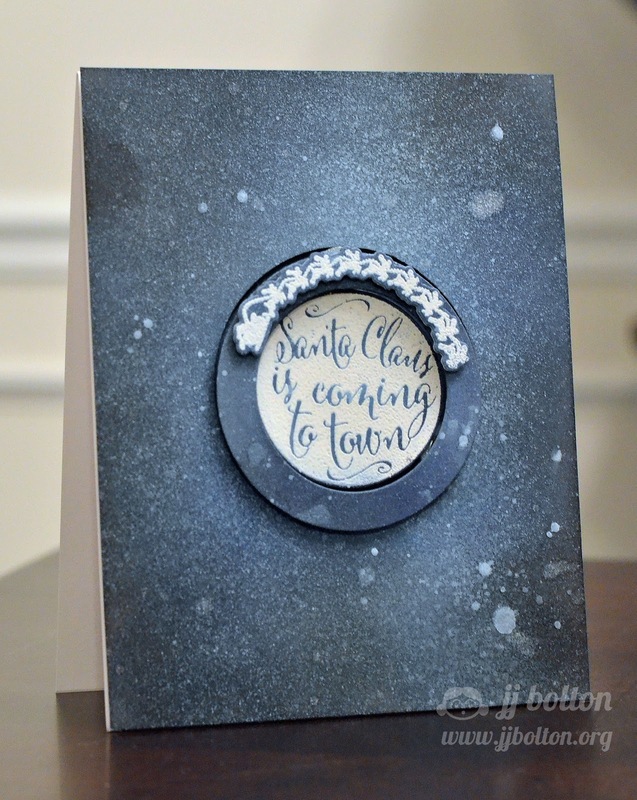 Heather created this first card by using our Joy To The World stamps & dies on a Finished Frames panel. I love how pretty this globe is. A card like this is exactly what I envisioned when I illustrated this stamp set. Love that! 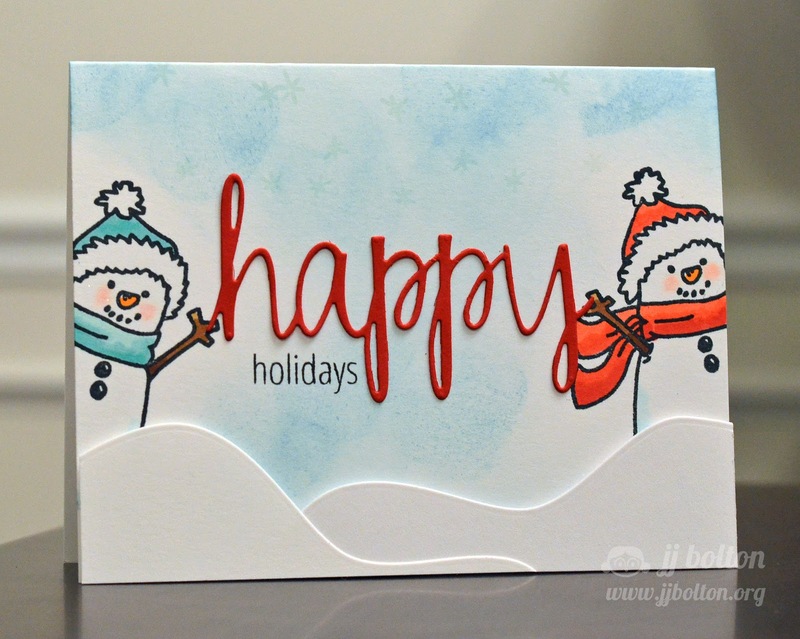 JJ used our Be Jolly stamps, Simply Said Happy die & stamps and our Custom Panels die for the snow drifts on this next card. I love how cute the snowmen look on either side of the sentiment. JJ shows how our Custom Panels dies have SO many uses! I just love the shape of these snow drifts. I also wanted to let you know about a great event that our friends Vera Yates and Jennifer McGuire are hosting this year. The holidays are just around the corner, filled with opportunities to celebrate with family and friends. But during this special season, many of the elderly who live in nursing homes may be alone and missing their families. Wouldn’t it be awesome to bring smiles to their faces and brighten their holidays? That’s what the Caring Hearts Card Drive is all about! This wonderful card drive is hosted by Vera Yates and Jennifer McGuire and is in its 5th year of collecting holiday cards to send to the elderly in nursing homes. And we here at Avery Elle are so proud to sponsor this worthwhile effort! Today I have a page by the fabulous Maska to share with you. I always love the way Maska adds tiny details and layers on each of her pages. This one is no exception. I love how Maska accented the photo with a cluster of flowers from our Fabulous Florals stamp & die sets. It looks just like spring with the pink, green, yellow and oranges. I love it! Today Kasia Curry and Chunyuan Wu have two fun projects for us. 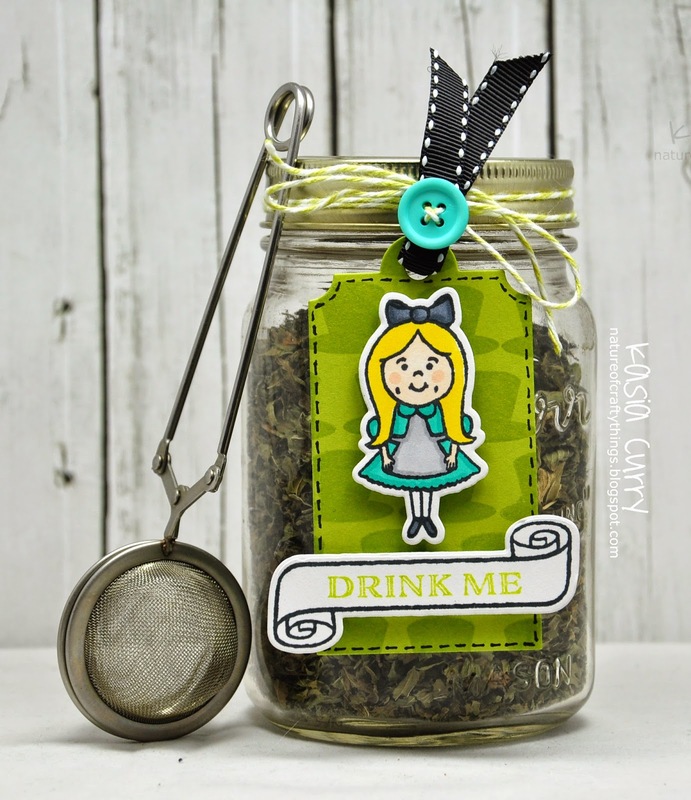 Kasia created this tea gift set using our Gift Tags die and Alice and Friends stamps and dies. I love how the tag looks tied to the top of the mason jar. It is the perfect size and is so cute! Chunyuan used our More Stories and Fabulous Florals stamp and die sets to create this next card. Don't you love the way she combined different ink colors to create these fall leaves.? It is so pretty. Hello! I am so excited to share the next two projects with you today. 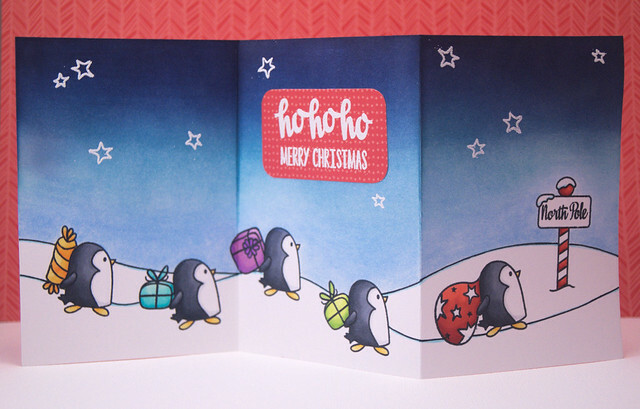 Yainea created this amazing card using our North Pole and Joy To The World stamp sets. I just love this scene of cute penguins delivering presents to the North Pole! Isn't the blended ink sky gorgeous? 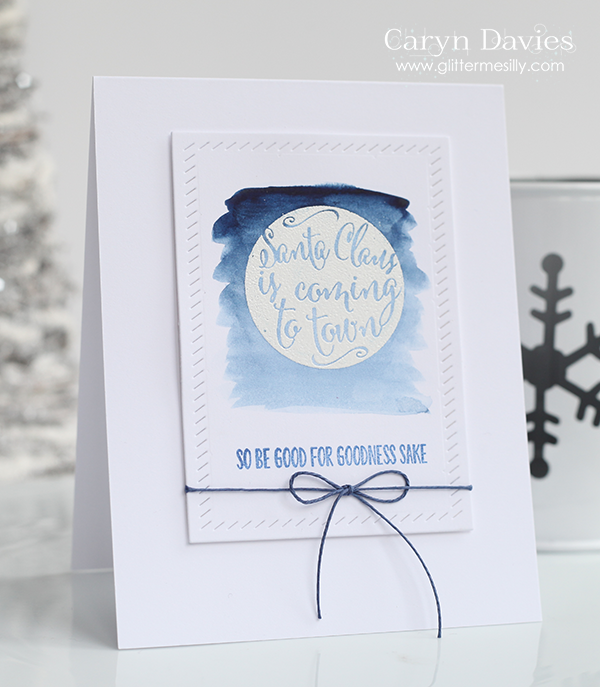 Caryn Davies created this clean and simple card using our Seasonal Sentiments stamp set. I love the way the gold acorn looks stamped on the smaller panel of our Finished Frames die set. It is so pretty. 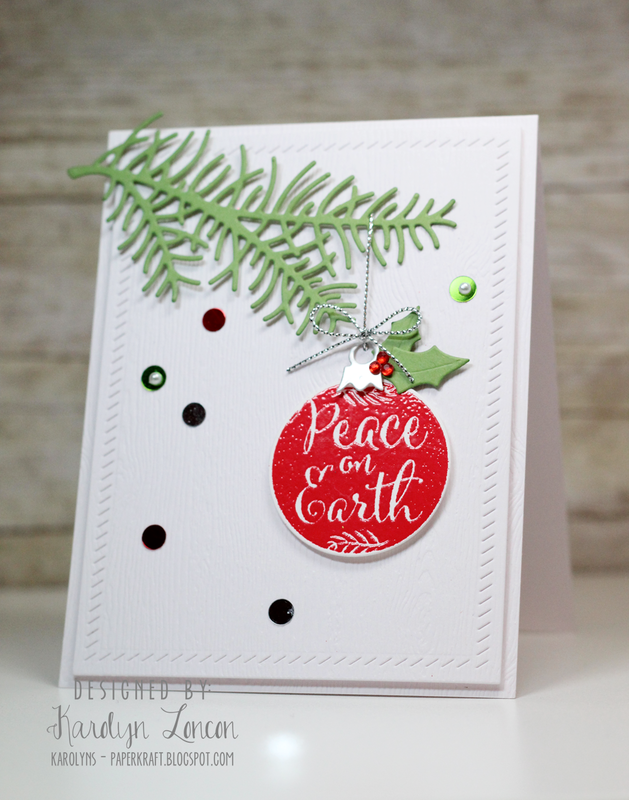 Karolyn Loncon created a gorgeous ornament out of our Joy To The World stamp and die set on this next card. I love how she used the holly leaves from our Season's Greetings dies to accent the top of the ornament. Everything looks fantastic on a panel created from our Finished Frames dies. I love how that die gives a subtle texture and pattern without taking away from the main focus on a card. Hello! I have two great cards to share with you today. 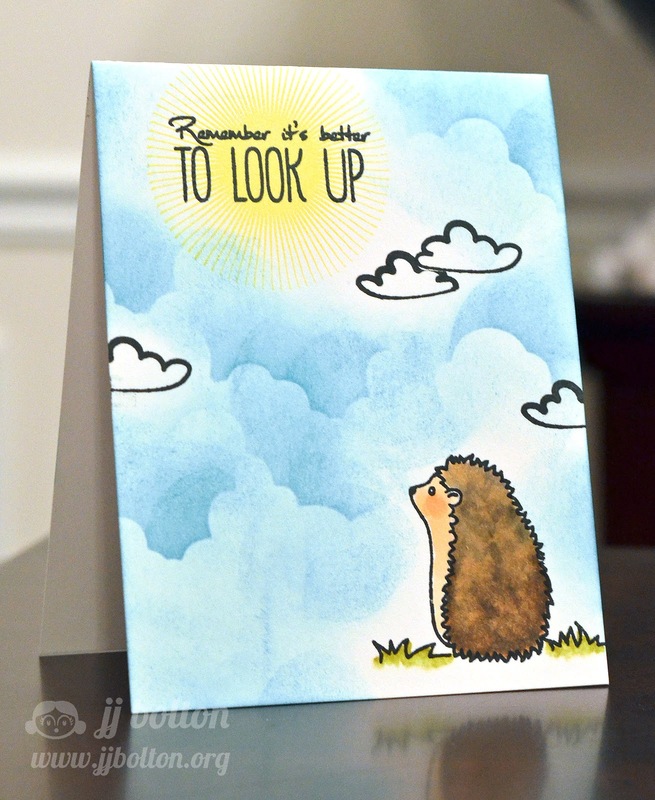 JJ Bolton created this first card using our Look Up, More Stories and Bright Days stamp sets. I love how she stamped the star burst and blended blue clouds around it. JJ has been able to create so much depth on this single layer card. I love it! 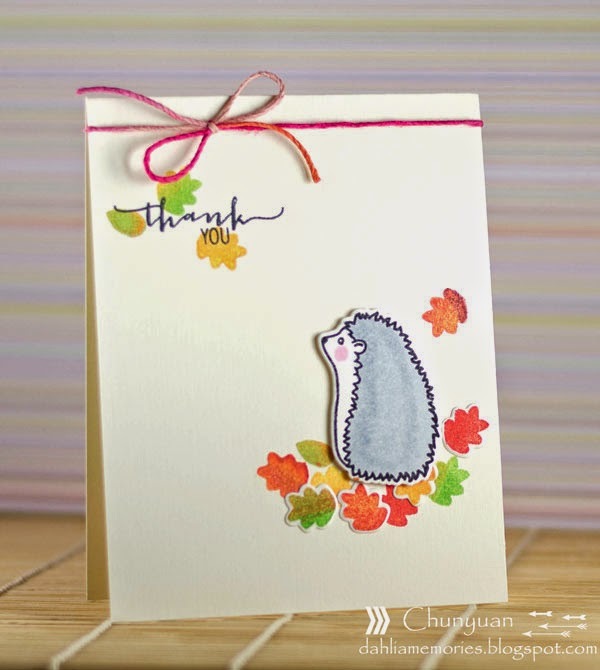 Heather Campbell created this next card using our Seasonal Sentiments stamp set. She stamped the acorn image onto Speckled Cardstock with our new Kraft and Truffle ink and heat embossed over the Truffle acorn. This is a great way to use an image repeatedly. The trick is to stamp the darker image that you want to highlight onto the card first and then stamp the other lighter images in around it. This way you get the placement that you want. I love the feel of this card. Perfect for fall!! Hello and Happy Wednesday! I hope that your week is going well so far. So far so good over here! :) Today I have a pretty page by Maska to share with you. 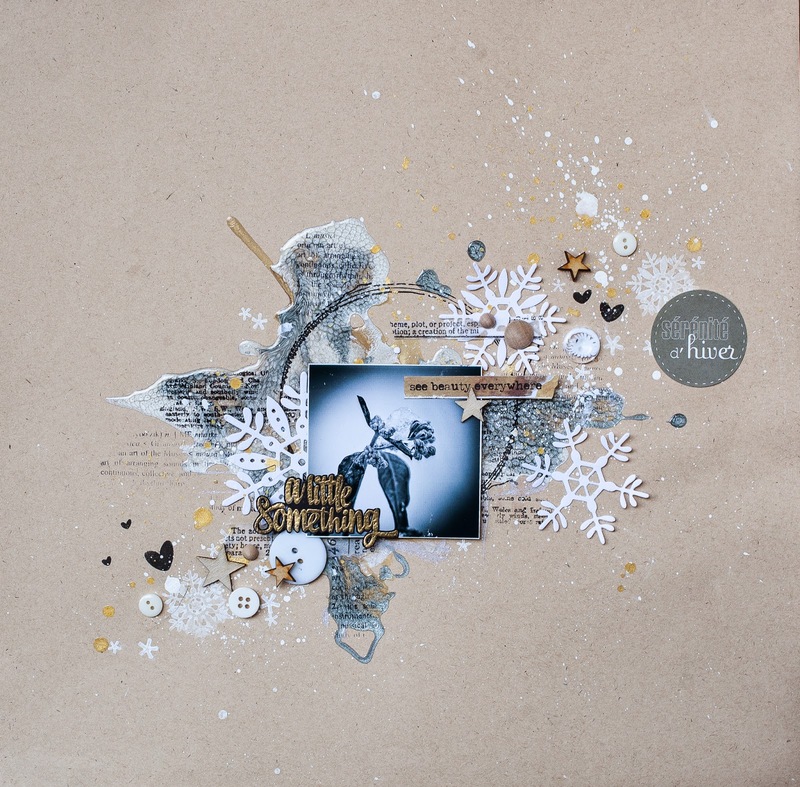 I love how she used the large snowflakes from our Noel die set and tiny snowflakes from our Noel stamp set to frame the photograph on her page. The "a little somthing" sentiment is from our Sending You stamp set. The soft grey, gold, white and kraft color palette is so serene and really envokes a "frozen" feeling. I love it. Hello! Today I have two great projects to share with you. Chunyuan created this first card using our Fabulous Florals and Noel stamp sets. I love how she clustered the flowers on either side of the sentiment. The bright cheery colors make me so happy! 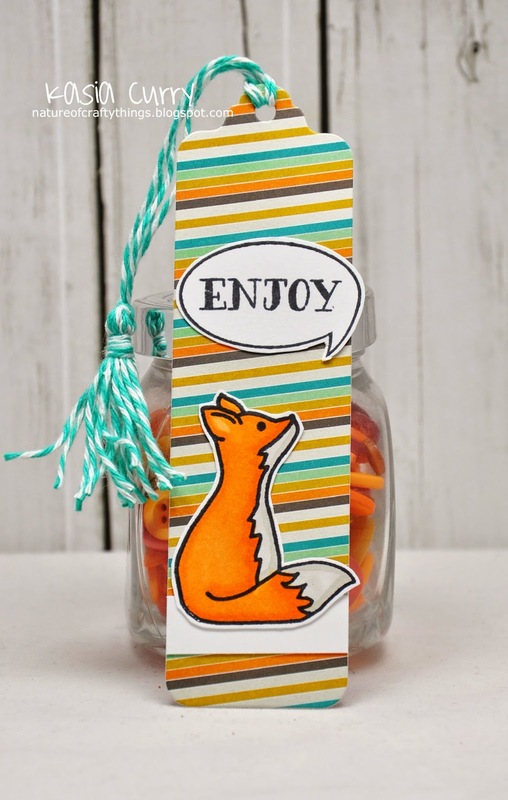 Kasia Curry created this cute little bookmark using our More Stories stamps & dies, Picture It Stamps, Oh Yeah dies & a sentiment from our Bottle It Up stamp set. I love how sweet this is. My girls would love a bookmark like this! Hello! I hope that everyone had a fabulous weekend! I can't wait to show you the two cards that our fabulous design team members, Yainea and Caryn have for us today. 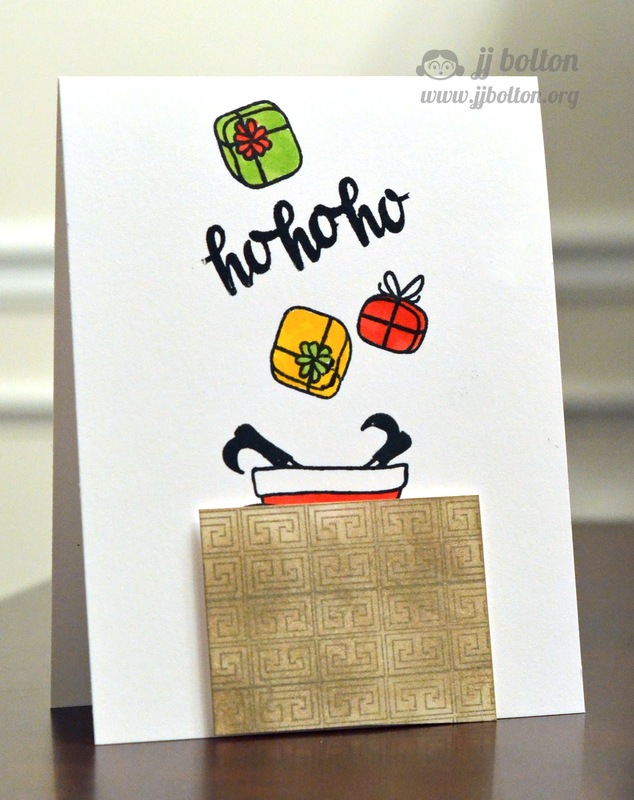 Yainea created this adorable card using our Be Jolly stamps and dies and Dotted Dies. I love the sequins and glitter against the light blue background. It really pops off of the red and white colors. The snowman against the snow drifts looks so cute! Caryn Davies created this card using the sketchy circle from our We R Family stamps and a sentiment from our So Happy stamp set. 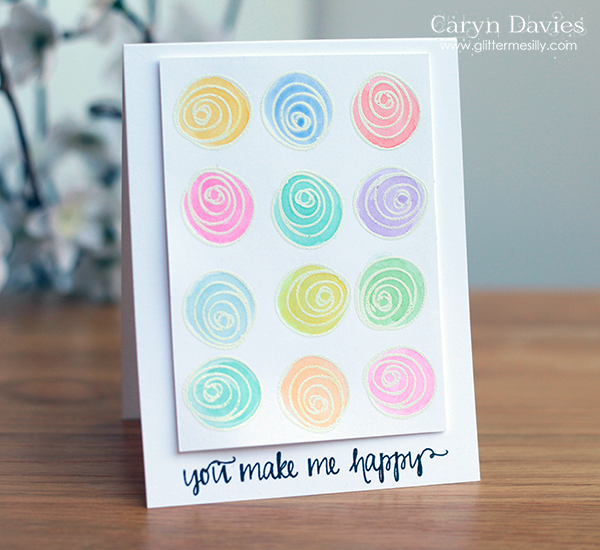 I love how Caryn stamped the circle and rotated it multiple times to create the colorful pattern. This is a happy card indeed! Happy Friday! I have a treat for you today. Katie Gehring and Karolyn Loncon have created some amazing projects that I get to share with you! 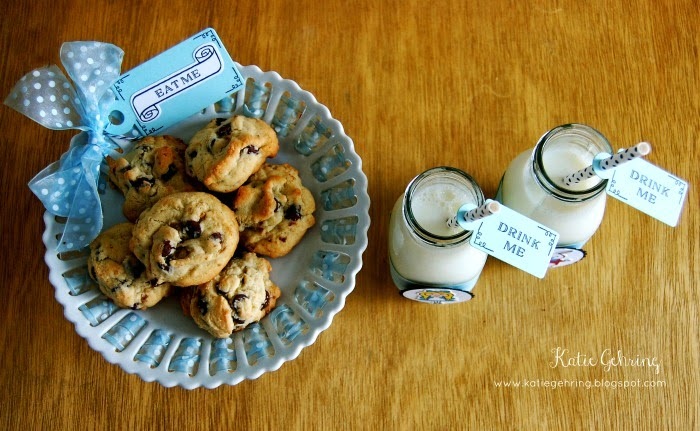 Katie Gehring used our Alice and Friends stamp and die sets and Alice Tags dies to create this cute milk and cookies party. She stamped the small rectangle tags and slid them onto paper straws. They fit perfectly! 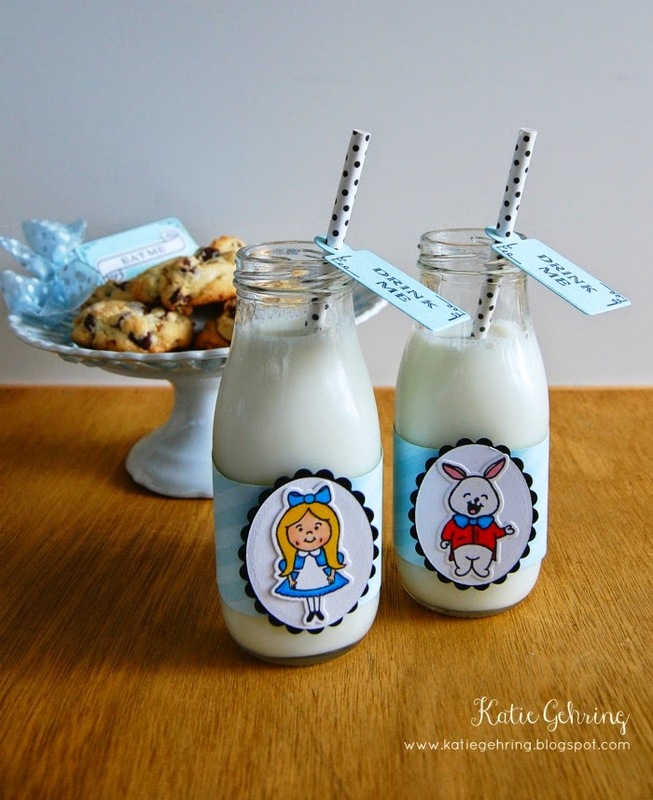 I love how Katie adhered Alice and the rabbit onto the milk bottles with strips of paper from our The Sorbet Collection paper pad. This is SO cute for a party or even just as a little surprise for the kids for an after school snack. I absolutely adore this!! 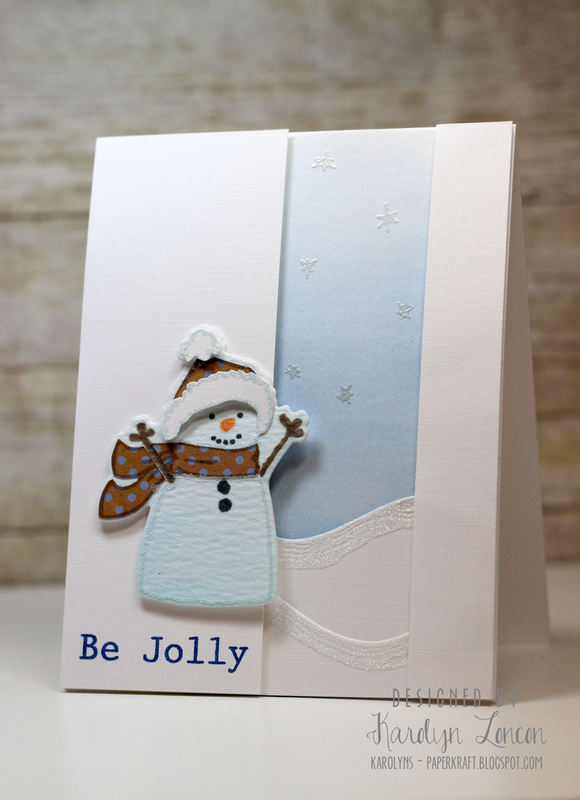 Karolyn Loncon created this cute card using our Be Jolly stamps and dies. I love how she stamped the snowman multiple times and cut out portions of him to add depth and dimension! He is too cute!! The subtle falling snow and different panels on the card front add so much interest. I love it! Hi Everyone! Today I have two incredibly creative cards to share with you. 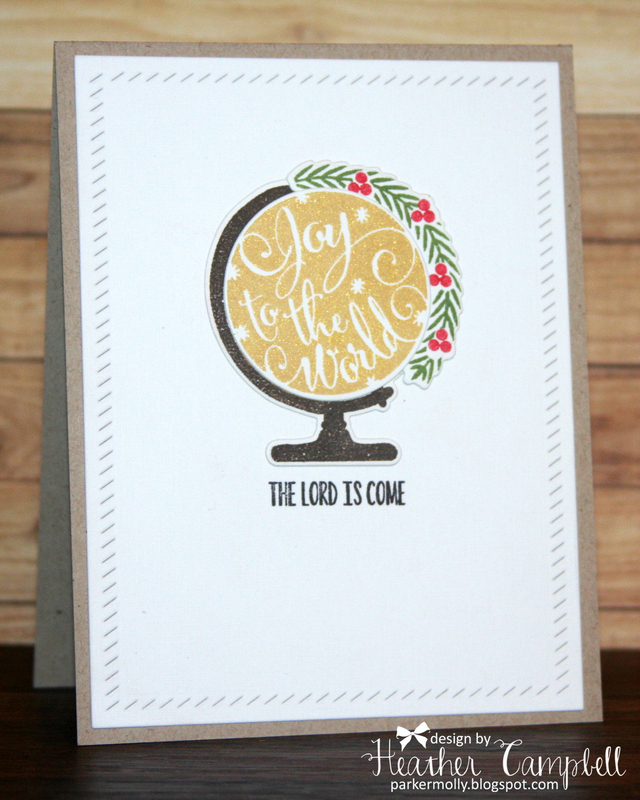 JJ Bolton created this first card using our Joy To The World stamp set. This card is interactive and Santa spins around the world! How creative is that? I love that the interactive piece takes center stage. Be sure to check out JJ's blog for all the details on how she created this! Heather Campbell created this next card using our The Everyday Collection paper, We R Family and We R Family Additions stamp sets. I love how she stamped the front and back of the circle and heart stamps to create the graphic flowers and leaves! It is just brilliant! Three Amazing Cards and A Winner!